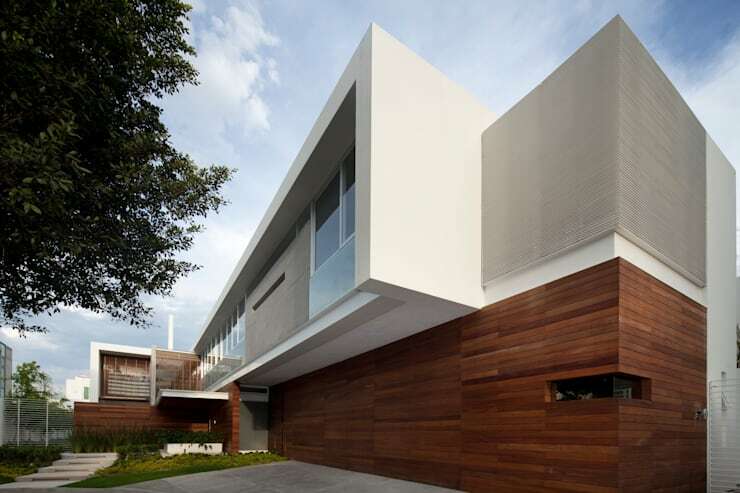 There is a wide variety of options to enhance the facade of your house. Colors, textures, materials and infinite ideas that attract glances of admiration to the space that marks the postal card of your home. Today, we have bought 10 excellent tips to embellish the front of the house. With options that give prominence to a single element or other solutions that add different types of materials. We will see how essential it is to decorate the facade as it has a very high representation value. 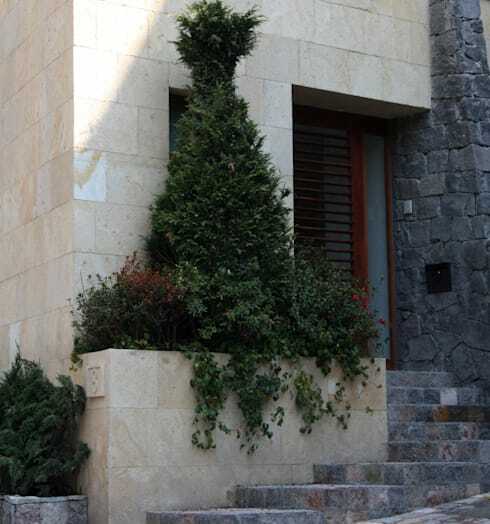 A stone slab is an interesting option for those who want to give natural elegance to the facade. 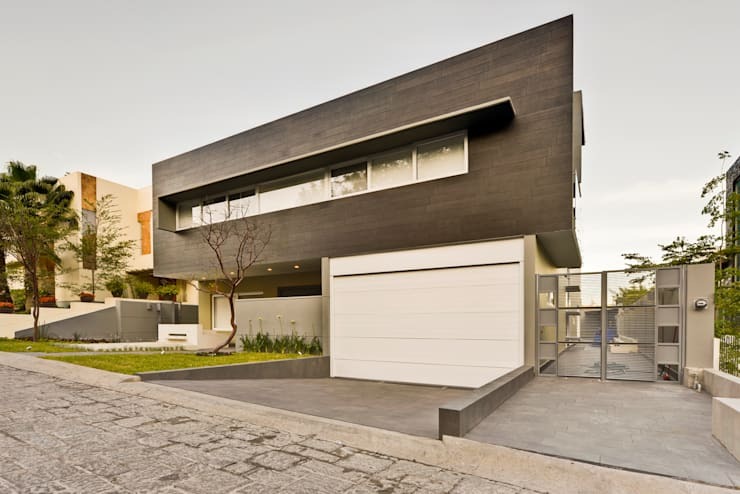 The possibilities are even more interesting when the choice is to highlight a certain space, such as a large column, the delimitation of space with the garage, and the side wall. 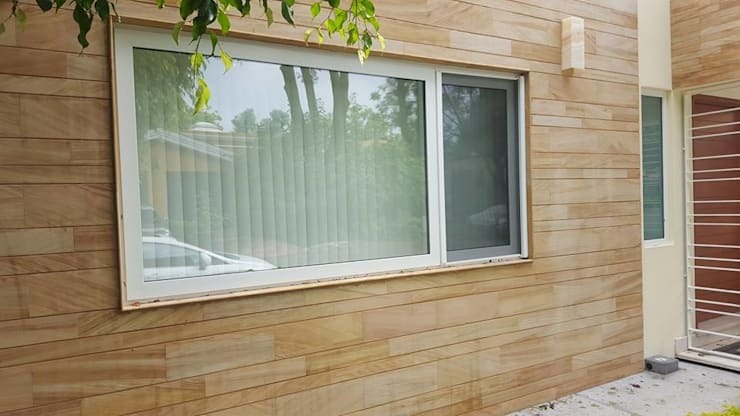 The advantage of this choice is to have modular options that facilitate installation or even use similar materials that may have lower cost but less resistance. Wood is the perfect material to bring a cozy and stylish look to the home. Easy to be found in light and dark tones and allowing games of contrasts, this material is climatic and termite resistant. At the time of purchase, it is essential to know the origin of the material to attest to its quality, as well as to buy parts coming from reforested areas only. Here is another design that presents the beauty of wood. 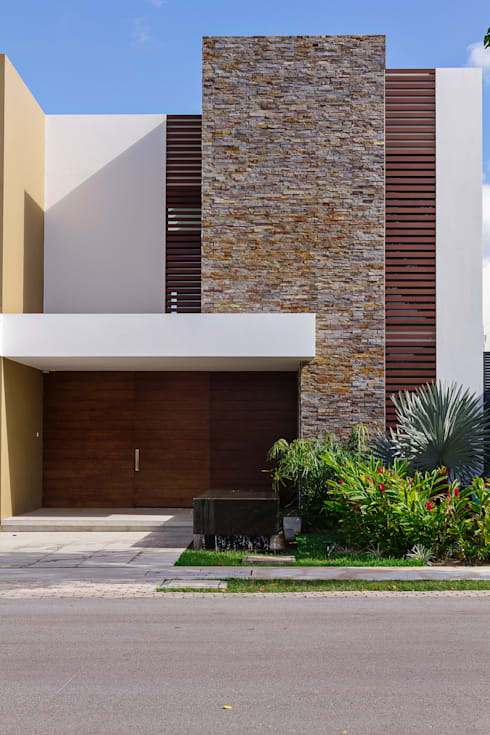 This small house has in its facade details that value of tropical style. 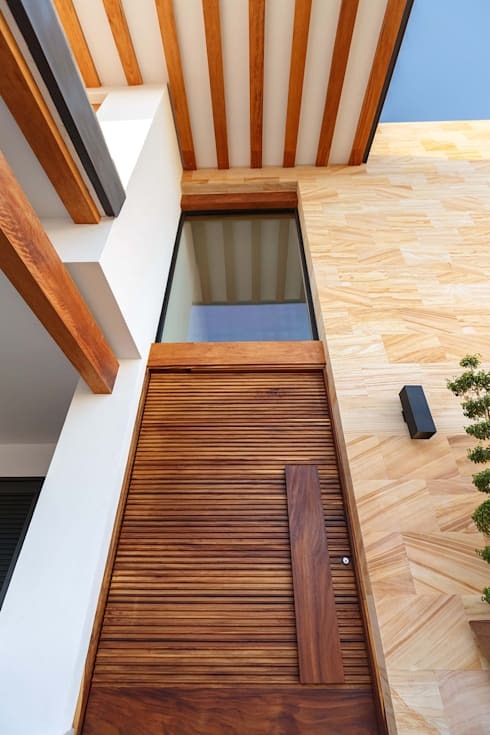 The slats lining the walls have been positioned so that their tips are at a front angle, thus creating effects of interesting shadows in the home. 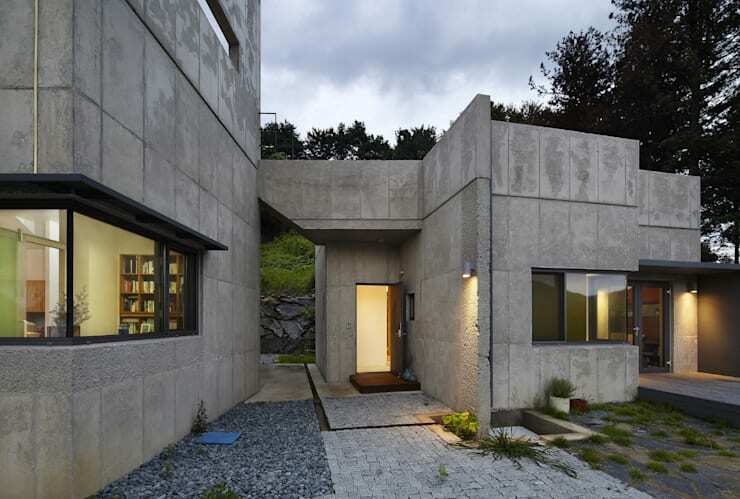 Concrete is a very used material to coat urban real estate that denote strong personality. It can be used in a polished way or with more sandy textures. The variety of options that increase the use of this material results in always imposing homes. The sum of stone and wood is especially appealing to compose elegant facades. The secret is to move smoothly between similar tones, as we can notice in this beautiful project. Steel is also used to compose modern and elegant facades. You can use it in straight and wide lines that mark the division of floors or the covering of spaces. This material has the advantage of being molded according to the best composition for the scenario, besides maintaining unshakeable resistance for a long time. Another impeccable sum is the set of wooden slats and volumes in concrete. 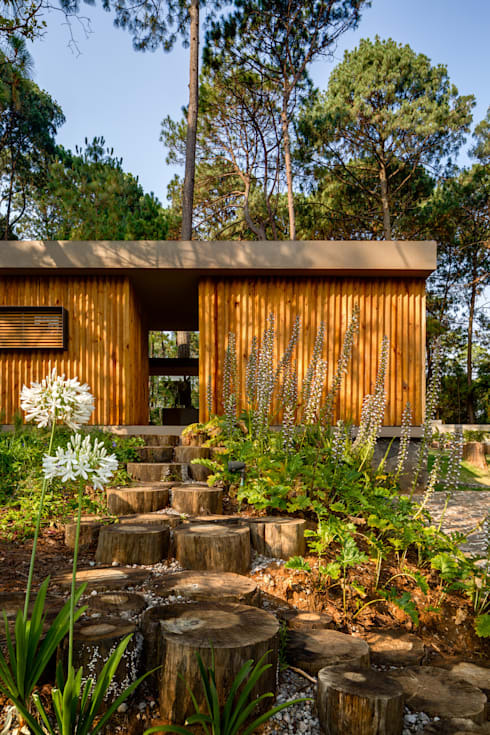 In this project, for example, the broad horizontal lines of the wood bring the feeling of stretching of the lower block of the home. The upper deck is being drawn in an extended way to get closer to the garden and creating a small shaded area on the ground floor. 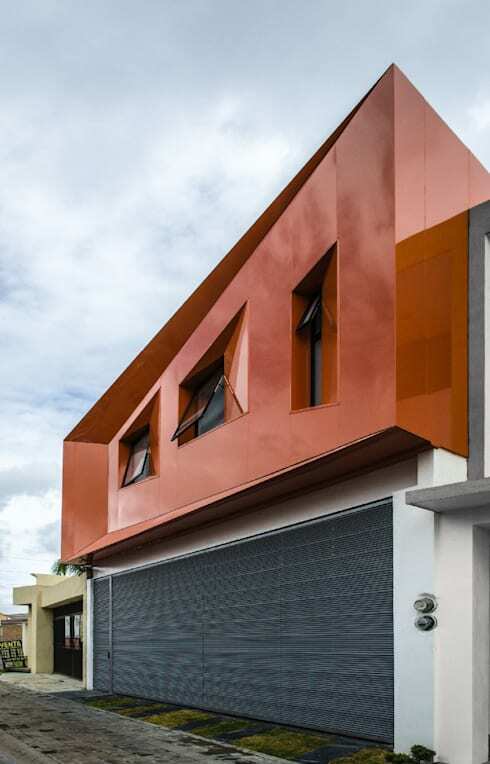 This charming and daring design has aluminum as the main material in the upper block. Resistant, insulated and flexible, this choice is perfect for homes in coastal regions, as it does not rust with the sea air. The orange color and lines with irregular geometry that mark its design value the modernity of the plan. Pottery is also a very interesting option to imitate the texture of other elements, such as wood. 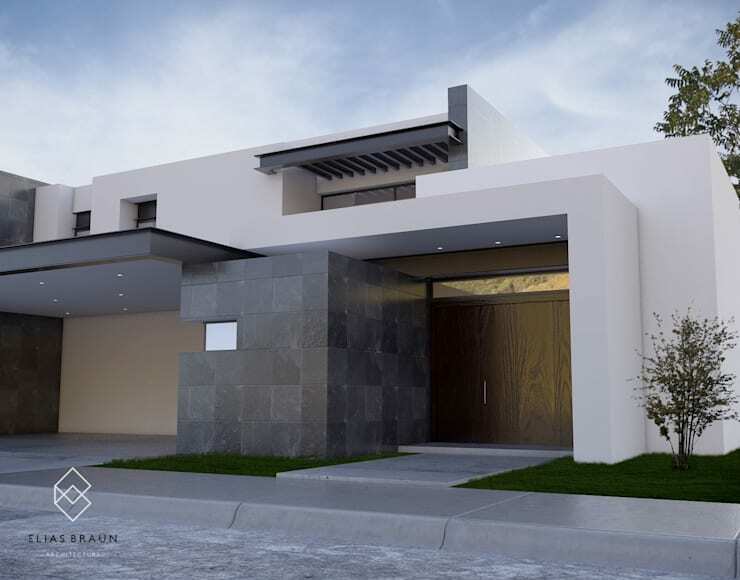 In this design, the contrast between light and dark tone further enhances the modern style of the home. To bring the look with elongated front, the option for horizontal ceramic plates was perfect. Finally, we came to this fascinating project where different types of stones were used to mark the facade. On the walls, the light tone brings a welcoming feeling along with the small front garden. The contrast of tones is valued with the stones that mark the staircase and the column of gray color. Which one of these wall coatings was your favourite?